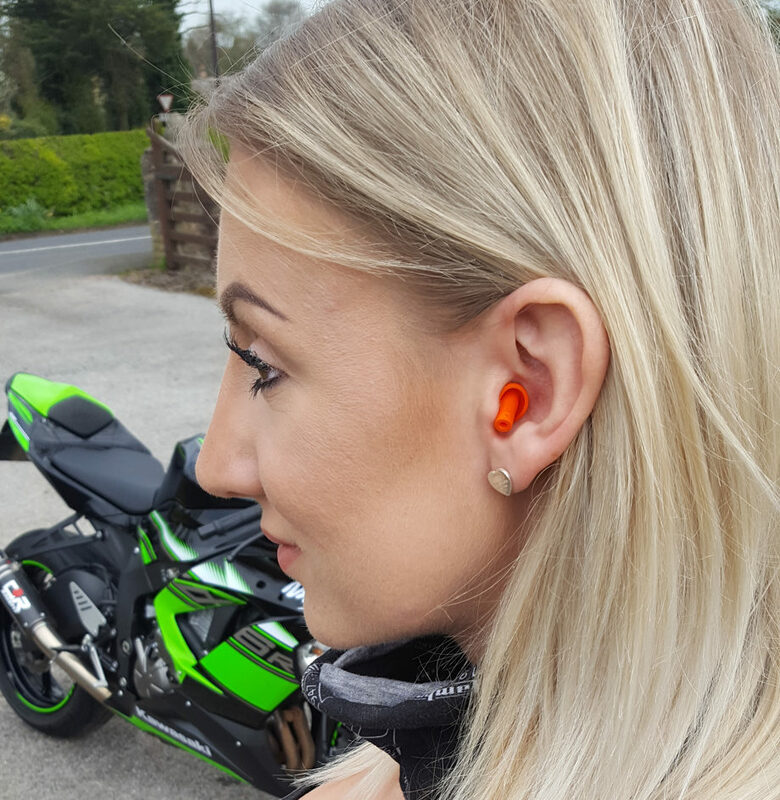 “Having been riding very loud sports bikes for four years without ear protection, I was experiencing ringing in my ears for hours after being off the bike. This was a warning sign and it brought to my attention just how easily our hearing can be damaged. I understood that bike engine and exhaust noises ware loud in terms of the dB reading, but I never thought the wind noise through my helmet could also potentially be damaging my hearing during every ride! So, as a newbie to wearing plugs while riding, the first ride out wearing the Auritech Biker plugs felt a little strange. The first point to notice straight away was the familiar sound of my bike, was not so familiar anymore. I found this odd at first, but I needed to give them a thorough go. It turns out after just the second time of wearing them, I forgot they were even there. As long as they are pushed in correctly, they sit comfortably, and within minutes of riding your hearing adjusts to block out the droning of the exhaust. Without anything sounding muffled, I could still hear my intercom, and could also hear friends speaking to me at the traffic lights. To purchase a pair of our ‘Auritech Biker’ ear protection, click the link Auritech Biker Earplugs. Zoe is a 27 year old Graphic Designer and hails from Mansfield, Nottinghamshire. Four years ago she passed her motorcycle test because her other half is, to say the least, a motorcycle enthusiast. Zoe was quick to secure her own pride and joy and purchased a Suzuki GXR600 K7. That was soon replaced by a Kawasaki ZX6r, which she liked so much she decided to buy an almost identical machine to use solely on the track. 2018 is proving to be a great year for Zoe as she continues to inspire the motorcycling community to just get out and enjoy riding their bike.